"﻿I can't believe how white my teeth are now. Wow!﻿"
If you want to whiten your teeth, the best place to start is with a healthy mouth. Tooth decay, sensitive or cracked teeth, infections or periodontal (gum) problems should be diagnosed and treated before any tooth whitening procedure. Otherwise, you could experience discomfort. The whitening process may aggravate existing problems, or the whitening process simply may not be right for you. We pride ourselves in knowing our patients are maintaining the best possible oral health. Our Free Whitening for Life Program was developed as a free gift for those patients who are already taking their dental health seriously, and as an incentive for those who need a little help keeping up with their dental care. There are 4 simple steps to enroll in our FREE WHITENING FOR LIFE PROGRAM! Let us start you off on the right path with digital x-rays, doctor's exam and hygiene cleaning. Comply with our minimum treatment plan to restore and maintain your healthy smile. Maintain scheduled hygiene appointments to receive whitening refills. Pay your bills as agreed. That’s it. Call (765) 453-4369 today to get started. Rather than heading to the local cosmetic counter or shopping mall in search of tooth whiteners, start with a dental check-up. We can evaluate, diagnose and treat any pressing oral health conditions and advise you about different options to safely and effectively whiten your teeth. Dr. Melissa also can determine whether whitening will work for you. 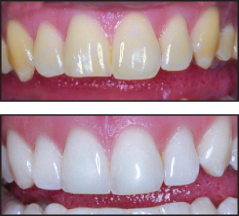 When we diagnose the cause of the discoloration - injury, stains from food or tobacco, antibiotic treatment as a child or other causes - a suitable tooth whitening method or product can be selected. The diagnosis is important; otherwise, you could be wasting time and money because whitening treatments work only on natural tooth enamel, not on crowns, veneers, bonding materials or tooth colored fillings. Talk with us about the pros and cons of different whitening treatments and what may be right for you. We may suggest a simple procedure for daily use at home for a period of weeks or power whitening performed in the office. 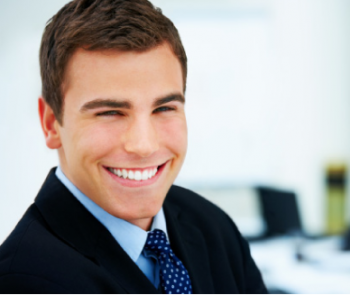 White, bright teeth are desirable, but having a healthy smile is more important. Dr. Melissa can help you achieve not only a whiter, more attractive smile, but one that is healthy and contributes to your overall health.